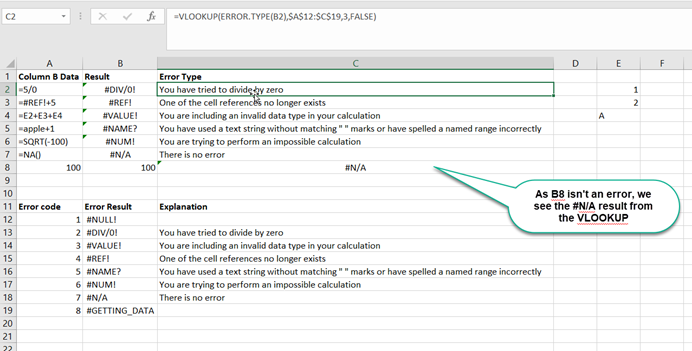 OK, so logic says that you don’t want to have any errors in your spreadsheet & broadly speaking, that’s correct… however, there can be occasions when an “error” can be helpful. The #NAME? error occurs when Excel does not recognise text in a formula. Simply correct SU to SUM. Excel displays the #VALUE! error when a formula has the wrong type of argument. Change the value of cell A3 to a number or use a function to ignore cells that contain text. Excel displays the #DIV/0! error when a formula tries to divide a number by 0 or an empty cell. Change the value of cell A2 to a value that is not equal to 0 or prevent the error from being displayed by using the logical function IF. Explanation: if cell A2 equals 0, an empty string (“”) is displayed. If not, the result of the formula A1/A2 is displayed. 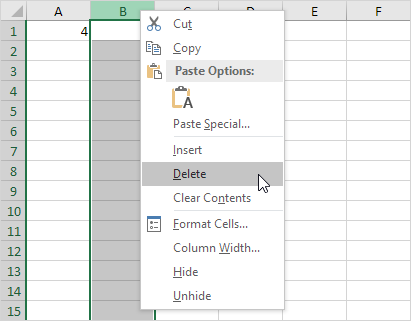 Excel displays the #REF! error when a formula refers to a cell that is not valid. For example, cell C1 references cell A1 and cell B1. In the “new” cell B1 (which was C1 before we deleted column B) the reference to cell B1 is not valid anymore. There are two reasons for this. The first is that the cell column is too narrow to display the value. The fix is simple: just expand the column to fit. The second reason you could see ######## is if a date-formatted cell becomes negative. Usually this happens when dates or times are subtracted from each other (for example if you’re working out the difference between two dates. Excel will usually initially format the calculation cell to match the date formats; you’ll just have to change it back to something more useful. This entry was written by colinfoster, posted on September 14, 2018 at 9:08 pm, filed under Microsoft Excel, Tips and Tricks and tagged #DIV/0! error, #NAME? error, #REF! error, #VALUE! 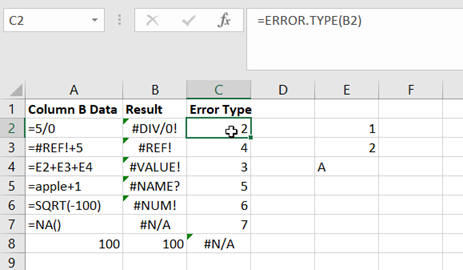 error, ERROR.TYPE Function, Excel, Functions, Spreadsheet, VLOOKUP Function. Bookmark the permalink. Follow any comments here with the RSS feed for this post. Comments are closed, but you can leave a trackback: Trackback URL.